At The Law Office of Doppelt and Forney, APLC, our main focus is protecting our clients’ rights and helping them obtain their goals. At the consultation, we give a legal analysis of the issues with specific techniques and strategies to try and obtain client goals as well as protecting client’s rights. We can run guideline child and spousal support calculations so you have realistic expectations. When you hire us to represent you, we are a full-service family law firm, and we will be with you every step of the way. To find out how we can help you, call now to schedule your free consultation. Asking important questions during your consultation can help you be as prepared as possible for your pending family law case. Is it Illegal to Cheat on your Spouse? The San Diego divorce attorneys at Doppelt and Forney, APLC are here to assist you in your divorce, legal separation or paternity case. We offer a free consultation where you are able to discuss your case with an experienced attorney. At the consultation, the attorney will provide you with legal analysis of your issues and provide you with techniques to help obtain your legal goals and protect your rights. While California is a no-fault state, and adultery is not punishable by the law, there are still states that consider adultery illegal. Are you seeking a divorce or legal separation? The San Diego Divorce attorneys at the Law Office of Doppelt and Forney, APLC can help you through this difficult time. We practice in all aspects of family law including divorce, legal separation, and paternity. Call now to schedule your free consultation with an experienced divorce lawyer. We represent clients in family law court in all Court houses in San Diego County including downtown, Vista, Chula Vista and El Cajon. 1. Create or update your budget. Will I have to Pay My Spouse’s Attorney Fees? 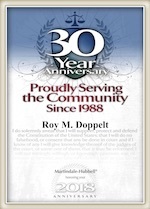 The Law Offices of Doppelt and Forney, APLC practices in all aspects of family law. This includes divorce, legal separation, paternity, child custody, child support and visitation, spousal support, prenuptial agreements, and more. At the free consultation, you will meet with an experienced lawyer who will listen to your case and provide you with strategies to help protect your rights moving forward. We can run guideline child and spousal support calculations so you have realistic expectations. As you may know, the paperwork involved with family law cases can be extremely confusing and lengthy. Our firm assists with the preparation of all pleadings and court appearances as necessary including the family resolution conferences. We also handle post judgment motions including motions for modification of child and spousal support and the parenting plan as well as motions to set aside the judgment and enforcement of the judgment. We will perform and conduct legal research as needed. We prepare the petition and summons and all the initial dissolution pleadings for filing with the San Diego Superior Court. We also assist with motions for child custody, child visitation, spousal support, alimony, attorney fees, residence exclusion orders and others. To learn more about our services and how we can help you with your family law case, call us today to schedule your free consultation. Not only is a divorce emotionally draining, it can also drain your bank account. The Law Office of Doppelt and Forney, APLC practices in all aspects of family law including divorce, legal separation and paternity. Call us to schedule your free consultation. If you retain our services, we are a full-service law firm. Leave all the confusing paperwork, filings and pleadings to us. We assist with motions for child custody, child visitation, spousal support, alimony, attorney fees, residence exclusion orders and others. We can prepare the marriage settlement agreement and judgment pleadings. We negotiate with opposing counsel and/or opposing party to try and settle case if at all possible. We represent clients in family law court in all of the court houses in San Diego County including downtown, Vista, Chula Vista and El Cajon. Valentine’s Day for some is filled with flowers, gifts, dinner and romance. For others, it can be one of the most dreadful days of the year. The Law Office of Doppelt and Forney, APLC is a full-service family law firm specializing in divorce, legal separation, and paternity cases. We offer a free consultation at our office in the Rancho Bernardo area of San Diego. At your free consultation, an attorney will provide you with legal analysis and suggest techniques to try to help you obtain your legal goals and protect your rights. Whether divorce, child custody and visitation, child support, spousal support, division of assets and debts, a high-conflict or high-asset divorce, the attorneys at Doppelt and Forney, APLC can help you. Schedule a free consultation with a seasoned divorce lawyer today to find out how we can help you! Are you going through a late-life divorce? Trust the attorneys at The Law Offices of Doppelt and Forney, APLC to help you through this difficult time. In a late-life divorce, it is likely you have significant assets, retirement accounts, 401ks, property, etc. You want a lawyer by your side to make sure your rights are being protected. You can count on us to help you through contested issues, negotiation with the opposing party, court appearances and more. With over 50 years combined experience, you can count on us to advocate for your best interests. Kathy McCoy, Ph.D. is an author and a marriage and family therapist specializing in midlife and geriatric issues as well as families in conflict. She authored, “7 Surprising Facts About Gray Divorce”, which we would like to share. Are you going through a divorce or legal separation? Do you need help with a child custody or child support issue? Trust the divorce attorneys at The Law Office of Doppelt and Forney, APLC to represent you, every step of the way. From child custody, child support, spousal support, divisions of assets and debts, we will bring you clarity and peace of mind. Call today to schedule your free consultation with an experienced San Diego divorce attorney. Former high school sweethearts, who met when they were 14 and married at 18, divorced 20 years ago after 24 years of marriage and 2 children. But the story doesn’t end there.